Viña Las Niñas, located in one of the most privileged and most famous valleys of Chile, will participate in the new version of Prowein for the third year. It seems to be the best meeting in the world of wine, the most important fair in the industry and is where we take advantage of meeting with our customers, who are mostly European and do business with new customers from other continents. In addition, it is the instance in which we show the first fruits to the market together with the high-end wines that we produce, all of them from the hands of our winemaker, Eugenio Lira and the French partners. Viña Las Niñas is the perfect match between viticulturist tradition of three French families and the Chilean aptitude to produce high quality wines. Looks forward to represent the identity of Apalta, of the owners and of a story that combines elements of different parts of the world, but that has a strong sense of rootedness and passion in every single wine. Nowadays our mission is to show in each bottle this fascinating combination of elements, creating authentic wines, that represents the terroir, but with the sensibility, elegance and experience that characterized from the beginning Viñas Las Niñas. 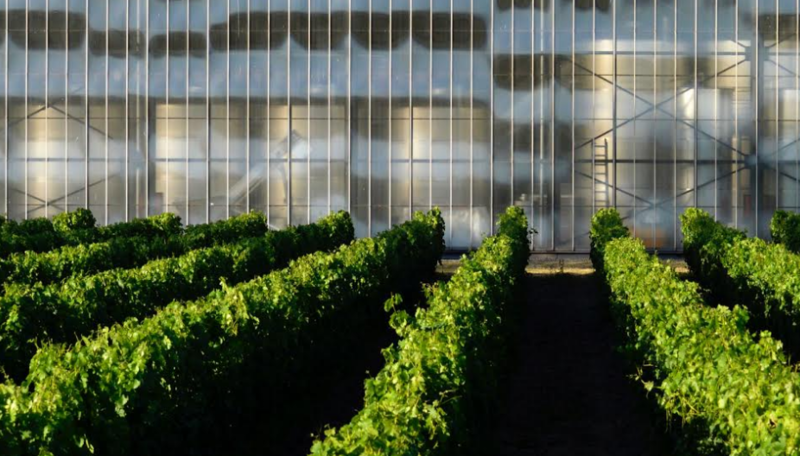 With the aim of respecting the environment and giving a quota of modernity, a functional winery was designed in its operation and friendly to the environment. It combines noble materials, simple lines and avant-garde design. All elements that in turn are reflected in our wines. Arriving Apalta is entering the paradise of the Chilean viticulture. Granitic soil on vineyards that goes from the river to the hill, are ideal to reach perfect balance in each vine. The horseshoe form of the valley both on the hills and the Tinguiririca River in its way from Andes to the Pacific Ocean generates a unique microclimate of great luminosity during the day together with the fresh night breeze. Due to this temperature range, we obtain grapes with perfect ripeness and expression, with natural acidity and a delicate aromatic profile. In the vineyard we have bordelaise and mediterranean varieties which adapted to local conditions developing its own characteristics and expression on our terroir, reaching its own personality and generating a clear identity on every wine. More references about Viña Las Niñas, by clicking on the banner below.